Vibrant colour and bold pattern are enjoying a strong revival at the moment, perhaps as a backlash against the calm neutrals and minimalism of recent years. In particular, florals of all shapes and sizes are ‘blossoming’ and are proving surprisingly versatile in interior design schemes. 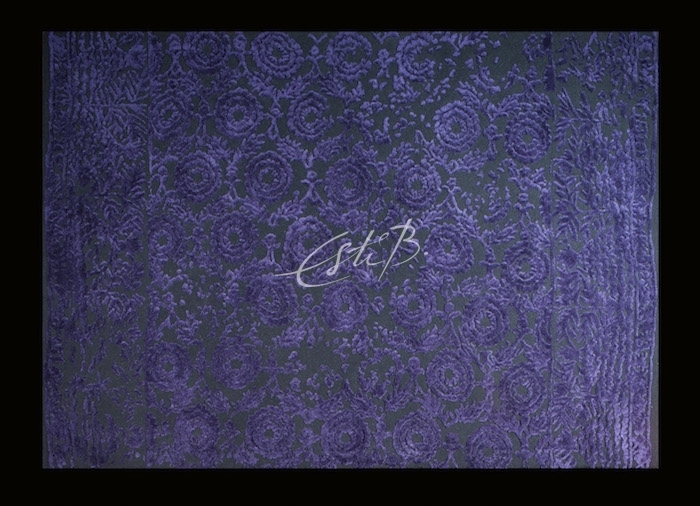 One of Esti’s main sources of inspiration has always been the forms and colours of nature, so within her collections there are many floral-themed motifs ranging from the traditional to the abstract and the bold to the soft and subtle. Big, exuberant florals in bright colours are proving to be a key trend this year. In this room, the white walls, curtains and fireplace give the room a fresh, modern feel that allows the punchy pinks, oranges and reds of the rug to take centre stage. 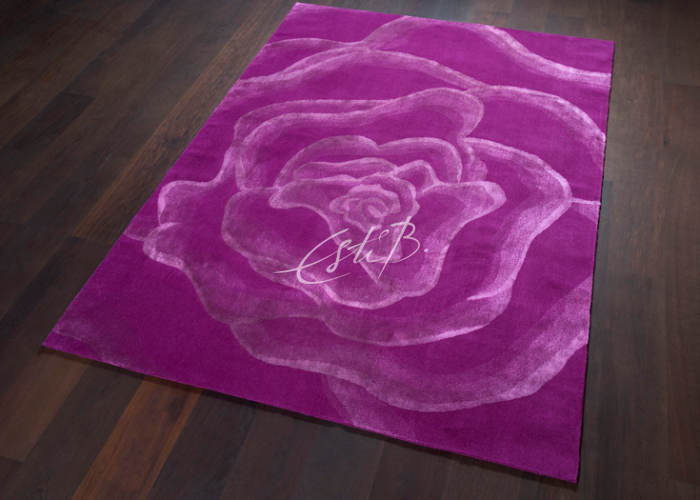 The vivid hue of this single rose will bring energy and life to any room and will look stunning in traditional and contemporary settings alike. 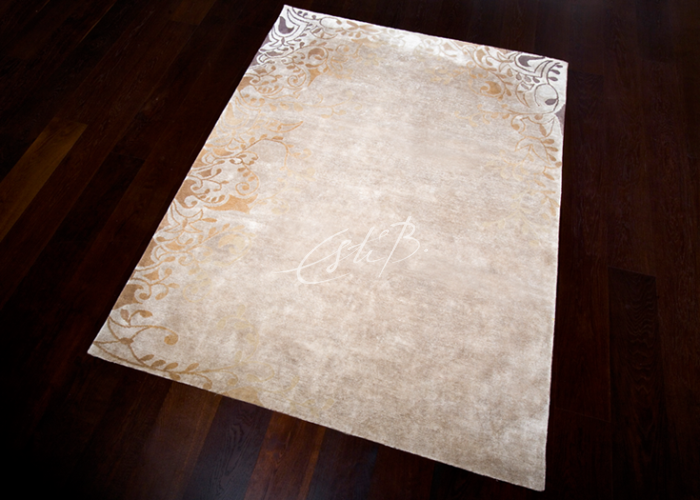 The VENUS rug, created in collaboration with photographer and designer Pam Weinstock, has a painterly feel. 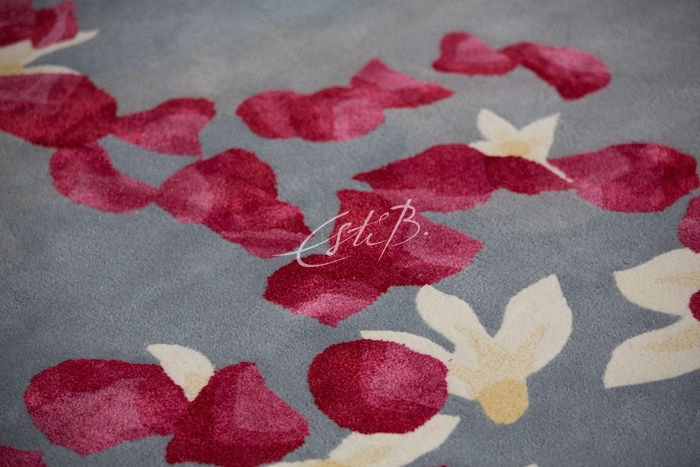 It depicts petals floating on water and was designed with themes of love and unity in mind, so would be a romantic choice for a bedroom. 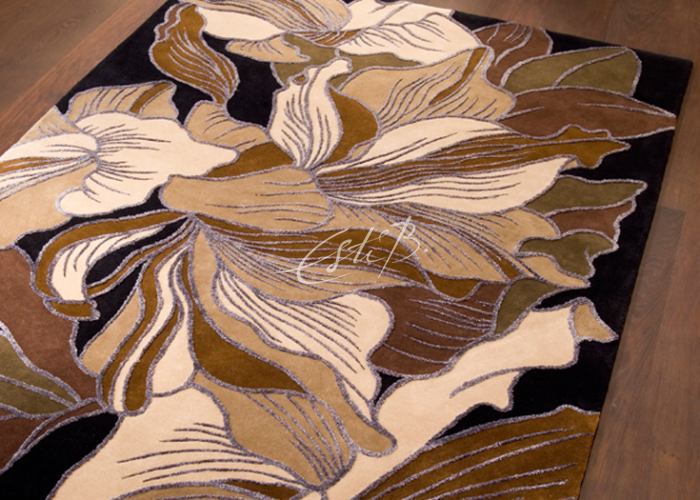 Your rug doesn’t have to feature large-scale flowers to enjoy the limelight. 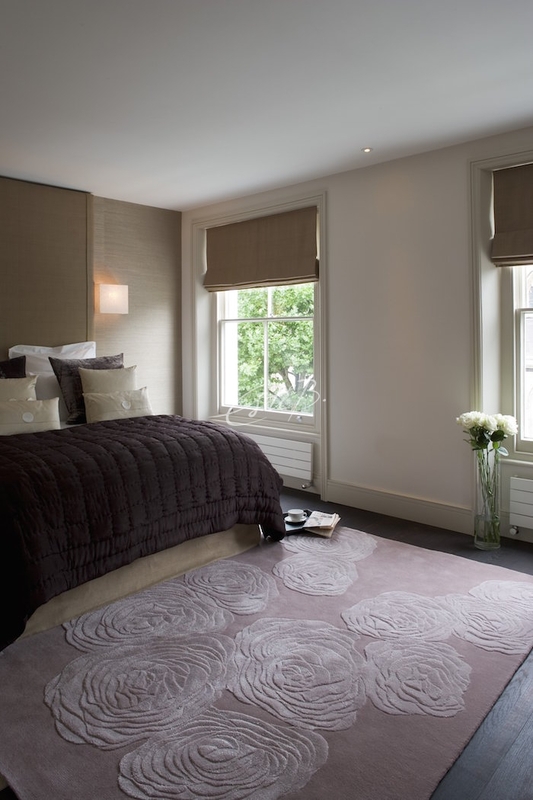 A more compact motif can have just as striking an effect – we love the rich texture and colour of this design. In the three designs below, the neutral background has the effect of visually throwing the brightly coloured elements into relief. 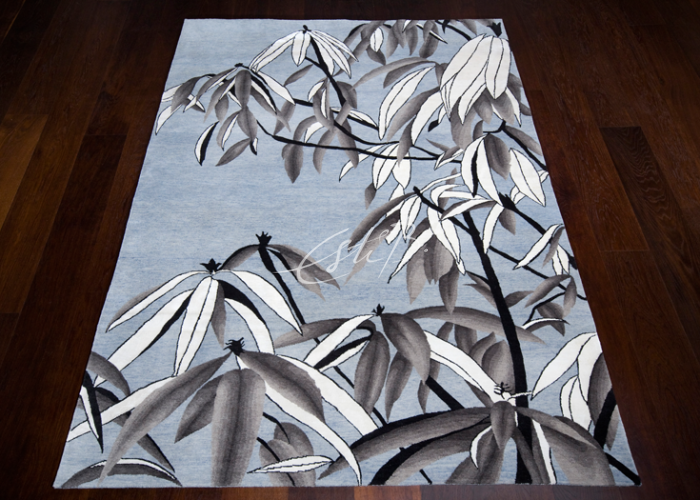 The simple lines will stand up well to other patterns, making these rugs easy to incorporate into an existing scheme. 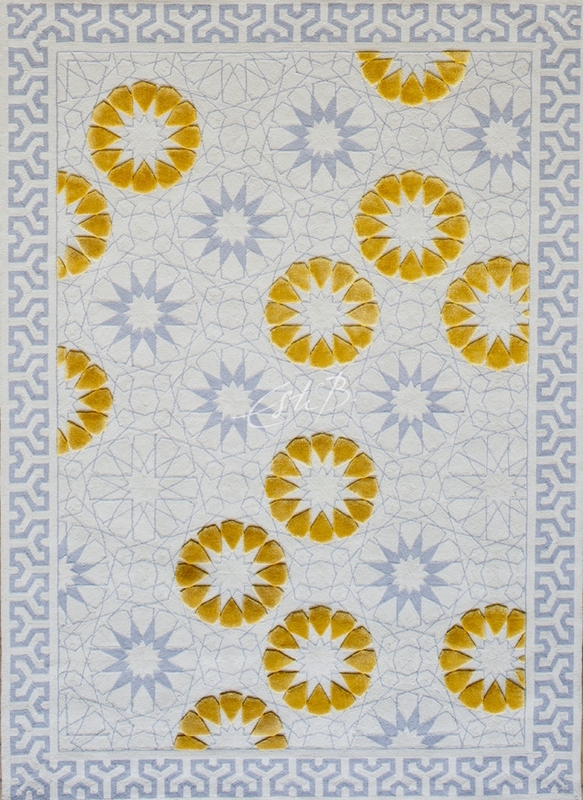 PRINCESS GEVHER, like the other designs in Topfloor’s Ottomania collection, was inspired by textiles from the Ottoman Empire. We love the almost embroidered quality of the colourful flowers. 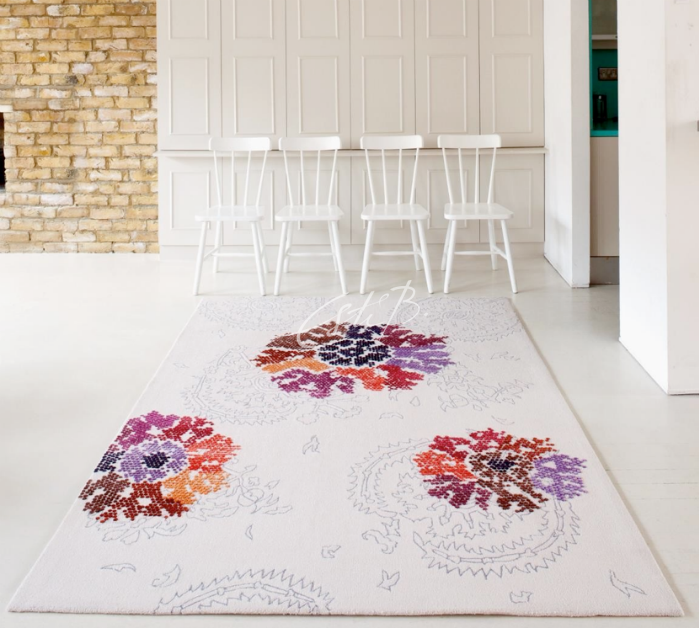 This rug combines two top trends – florals and geometrics. 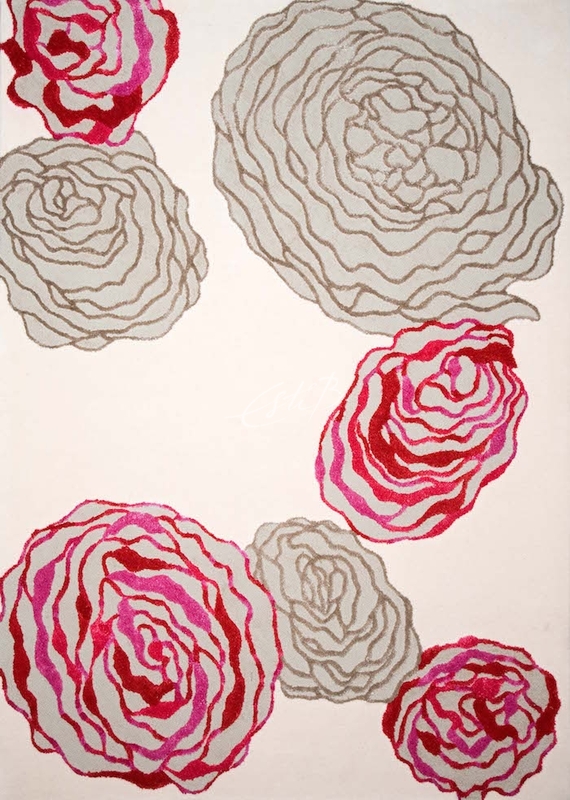 Its robust, stylised pattern might appeal to those who are looking for less ‘flowery’ flowers! Because these designs have a simple palette of just a handful of colours, it’s easy to create a coordinated look – simply pick out an accent colour to repeat in your furniture and accessories. That said, if you’re feeling more adventurous, the current trend for maximalism provides plenty of room for manoeuvre. The new rule is that there are no rules! Colour clashes and the mixing of styles and patterns are all actively encouraged, bringing character, energy and fun to a scheme. Florals are being combined with everything from geometrics and animal print to polka dots and paisley, so let your imagination go wild! Of course, not everyone is comfortable with the attention-seeking colour, vibrancy and eclecticism of the maximalist style. If you prefer neutral hues and uncluttered spaces, it doesn’t mean you can’t still introduce pattern and texture into your room. These self-patterned designs will add subtle interest without taking over. They’re also a great choice for those who are using colour and pattern elsewhere in the room – on walls or upholstery, for example – as they will complement rather than compete with your scheme. ESQUISSE uses one of Esti’s signature techniques, colour shading, to create an even more subtle effect. 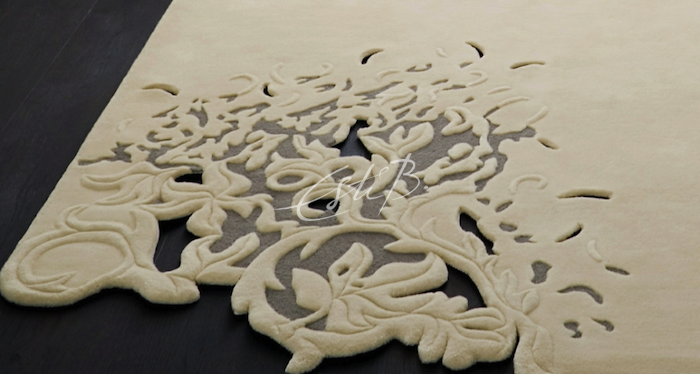 The pattern is only visible at the edges of the rug, giving the impression that the pattern is being gently eroded – or is perhaps gradually emerging. ETHEREAL uses intricate leafy decoupage to demonstrate how pattern can have just as much of an impact as colour. Many of these designs have already proven that ‘floral doesn’t always have to mean feminine – but if you’re still getting flashbacks to your grandma’s chintz sofas, keep reading! For a more ‘unisex’ approach to floral style, focus on foliage rather than flowers and go for darker colours such as greys, blues, browns and blacks (which are also practical shades that will perform well in high-traffic areas). The wintry grasses depicted in our ECOSSE rug can be commissioned in the original ‘Scottish’ colours, as shown, or can be re-coloured to suit any room setting. 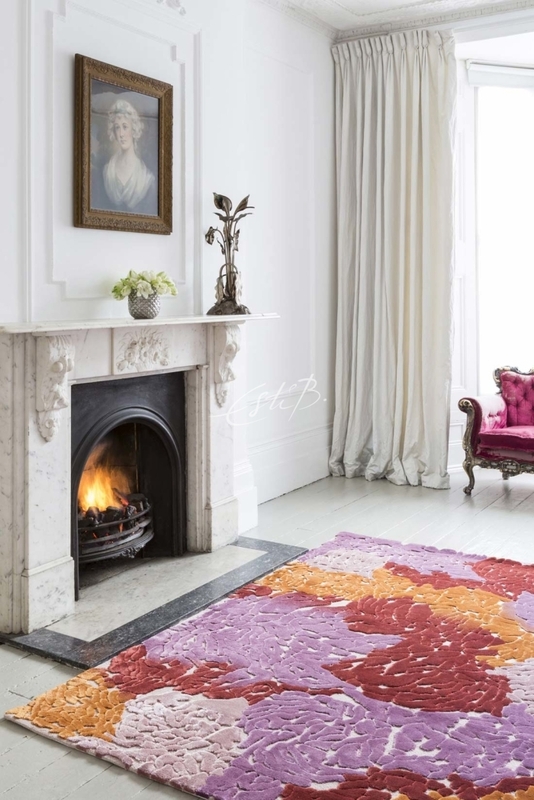 Whether you’re looking to lift a neutral scheme with a flash of colour, going full-on floral, or embracing maximalism with a flamboyant mix of patterns and textures, there’s a Topfloor rug out there for you. To speak to us about your project or to commission a design, please don’t hesitate to contact us.